Up before dawn tending to animals, out past dark working in the field: as anyone who farms knows, farming isn’t just a job, it’s a way of life. While the majority of the population no longer farms or lives in rural areas, for those still farming, the pace and intensity of farm life hasn’t slowed down. And while we’ve all seen neighboring farms close down or get bought out, over 97% of America’s farms are still family-owned, some having been in the same family for generations. While each farm is different, the farms that have successfully navigated the many changes in agriculture all share a commitment to basic best practices in business management. In today’s markets, it’s no longer enough to rely on your intuition and back of the envelope calculations. A good farmer doesn’t need to be an accountant, or a CEO, but they need to know enough about running a business that they can seize on opportunities and avoid costly mistakes so they can keep farming in their life in the future. Supportive employee culture: While farms of 100 years ago were run mostly by family members, today’s family farms include usually need to hire outside support. This trend, coupled with increasing farm labor scarcity, means it’s more important than ever to treat employees right. When employees are valued, they stay engaged in the farm’s success. Our tips for finding and keeping great employees. Common-sense technology: Successful family farms, especially operations with smaller budgets, strike a balance between adopting useful new technologies and chasing the latest and greatest gadgets. One of the cheapest ways you can utilize technology is making sure you’re using the technology you have effectively. Simple ways to get the most out of your machines. Partnering with experts: Due to advances in technology and increasingly complex economic markets, today’s agricultural businesses have become too complicated for one person to be an expert on everything. Knowing when to get outside expert help will help your farm succeed. Find people you can trust to help with things like evaluating expansion opportunities, implementing improved accounting methods, creating new legal business structures, and interpreting your financial data. Solid financial management: Knowing how your farm is performing now, how it performed in past markets, and how it’s projected to perform in the future are all crucial to making smart management decisions. Too many farmers use simplistic accounting methods that don’t give them an accurate picture of their farm’s financial health. Read why all farmers should consider switching over to accrual accounting. Commitment to continual learning: Honoring agricultural traditions is an important part of farming, but no one in the agricultural business can afford to totally ignore new trends and techniques. “This is the way we’ve always done it” is no longer enough to justify business decisions. Easy ways to keep learning new things you can use to improve your farm’s efficiency and profits. 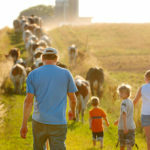 A farm transition plan: Some of the most vulnerable years for a farm are the years the farm is being transitioned from one owner to another, especially when that transition is happening between family members. Questions to consider when making a transition plan. At the end of the day, your farm’s success isn’t determined by what’s in your fields or in your sheds. It’s the financial data that gives you the full picture. Keeping your financial data accessible, safe, and secure is one of the best ways you can set your farm up for success. 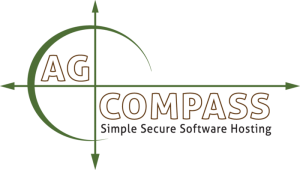 Read more about how cloud-based terminal server systems like AgCompass can help, including how it can help you use in-season crop data to make smart management decisions. When you combine business best practices, strong IT solutions, and timeless farm values like hard work and responsibility, your farm will remain successful for years to come.